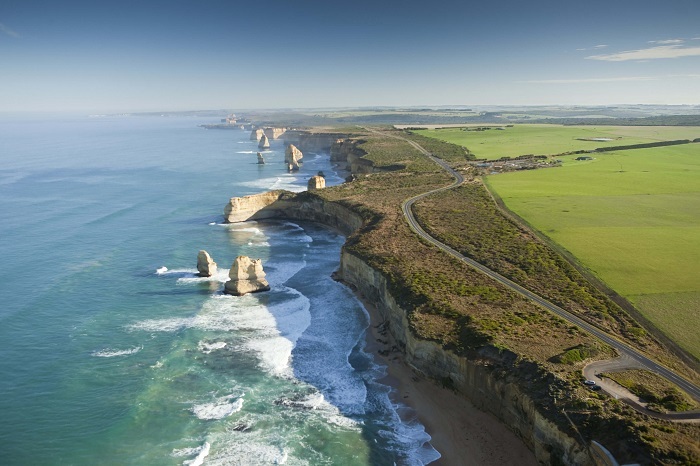 Explore the incredible Great Ocean Road, including amazing attractions such as the 12 Apostles, Shipwreck Coast and Great Otway National Park. These sights can get quite busy, so why not try our alternative tour and explore the Great Ocean Road in reverse. That way we will be sure to miss all the crowds and busy traffic, allowing you to make the most of these amazing sights we have to offer. Children under 2 years are not accommodated on this tour. 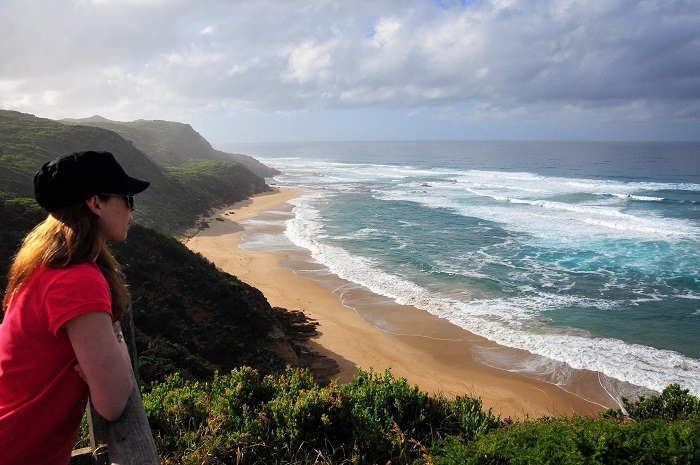 If you are travelling with an infant, please consider our Great Ocean Road Large Coach Tour. 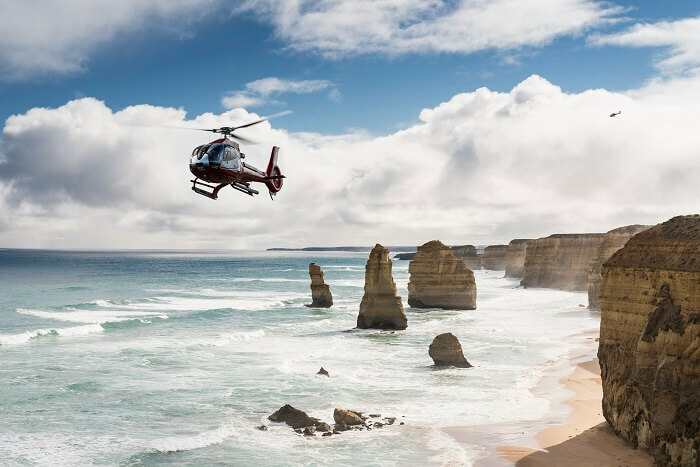 Experience the sheer beauty of Australia’s Great Ocean Road on this incredible one-day adventure that lets you explore the fascinating natural landmarks, the rugged coastline, and some of the area’s most breath-taking views. We’ll escape the city and travel inland to the Shipwreck Coast, stopping off on the way to fuel up with a morning tea. 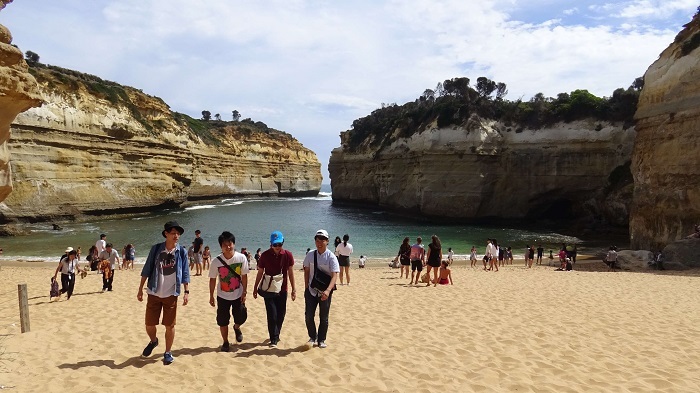 This tour takes you along the Great Ocean Road in reverse, so we’ll get to miss all the crowds as you experience this stunning attraction in a unique way. Once we’re at the Great Ocean Road, we’ll make our first stop at the world-famous 12 Apostles rock formation, where you can learn all about how this mesmerising natural wonder came to be. Afterwards, it’s on to Loch Ard Gorge in Port Campbell, the Gibson Steps, which are elegantly carved into the cliff face, and London Bridge. 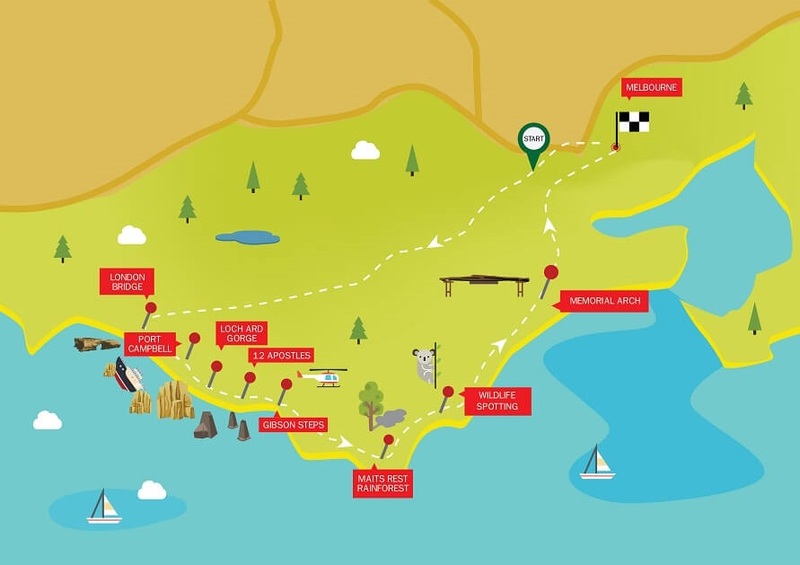 You’ll have plenty of time to soak up the ocean views from these landmarks before we continue winding our way along the Great Ocean Road. As we go, keep your eyes peeled for pristine surf beaches and interesting coves as we make our way to Memorial Arch, where you’ll discover why this part of Australia plays such an important role in the country’s history. Then it’s on to Maits Rest, where you’ll get to take a guided walk through ancient rainforest. 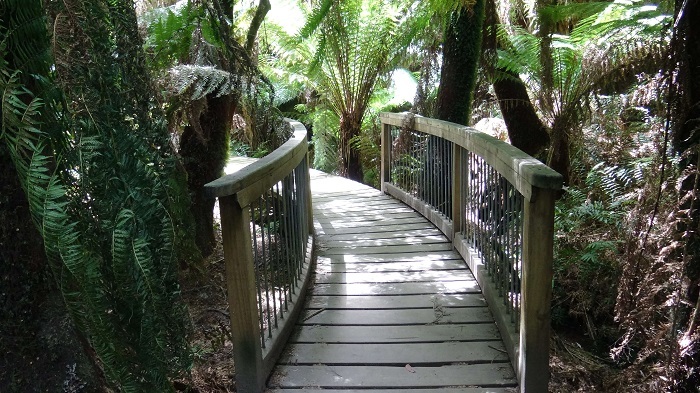 You’ll pass imposing trees that span back centuries and the exotic plant life of the Great Otway National Park – and keep a look out for the local native animals, too. For some more nature encounters, we’ll head on for a walk in one of the best places in Australia to spot a koala or two, before we pass through the pretty surf town of Torquay. We’ll make our way back to Melbourne in the evening where this one-day adventure unfortunately comes to an end.